Stocks ran out of steam on Thursday, with the S&P 500 retreating after rising to within two points of its record close, the Dow pulling back after hitting a record intraday high and the Nasdaq extending losses into a third day. The afternoon reversal was "more technical than anything else," said Art Hogan, chief market strategist at Wunderlich Securities. "If you have a failed breakout of an existing high or resistance level it tends to bring sellers into the market." 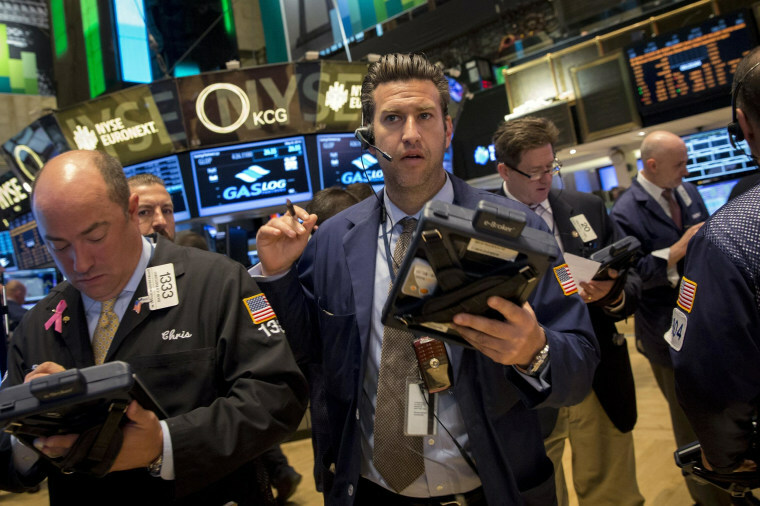 The Dow Jones Industrial Average, which rose 117 points on Wednesday, closed unofficially 32 points higher, at 16,550.97, after earlier surpassing its April 30 record high close of 16,580. The S&P 500 hit an intraday high of 1,889, but slipped back to finish 2 points down, while the tech-heavy Nasdaq, which was slammed on Wednesday, lost another 16 points. Earlier, the markets had roared as technology companies rebounded from a two-day rout and investors mulled upbeat import/export data from China and a boost for the U.S. labor market from an unexpected drop in weekly unemployment claims. Ahead of Wall Street's opening, Investors offered muted reaction to a better-than-expected report on the labor market. "Everybody expected claims to improve after the Easter-related difficulties," said Dan Greenhaus, chief global strategist at BTIG LLC. Meanwhile, official data showed China's exports and imports rose in April on the year, defying expectations for a dip in both figures. Tesla Motors shares dropped over 11 percent after the electric car maker's second-quarter outlook, delivered late Wednesday, proved disappointing to some. Investors had embraced better-than-expected April sales from retailers including Costco Wholesale and L Brands. Seven retailers tracked by Thomson Reuters tallied an overall 4.6 percent rise in April same-store sales, with teen retailer Zumiez posting an 8.2 percent gain. "The earnings excitement for the day is a little bit done. We had...Tesla last night, and a little bit of a run up on government numbers this morning, and now we're looking for something to trade on, so to speak," said JJ Kinahan, chief strategist at TD Ameritrade. "Everything is hugging the zero line waiting for some news to trade on," Kinahan added.